Bring this eye-catching, edgy and sumptuous statement piece to your room. 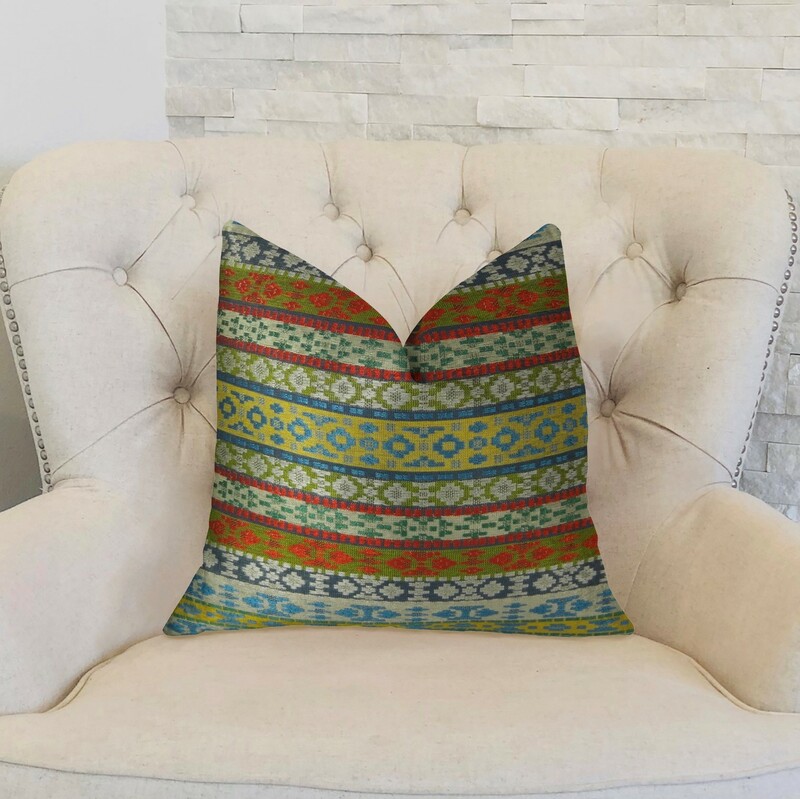 Add a great conversational piece in the house with this plutus flower child white blue and red handmade luxury pillow. The fabric is a blend of Rayon, Cotton and Polyester.